The book intends to render available to a wide range of students of Slavic languages, and particularly of Ukrainian, an outline of Ukrainian dialectology. The author presents the fascinating world of geographical variation of contemporary Ukrainian to all students of Slavic languages. 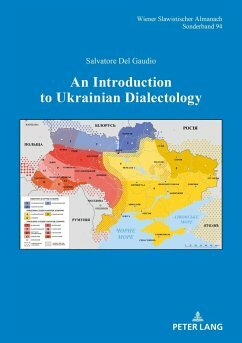 A basic knowledge of Ukrainian dialects is likewise important to complete the theoretical and practical background of a Slavist, especially if focusing on Ukrainian, Russian and Belarusian. It is also a valuable aid to a better understanding of diachronic and synchronic language processes, e.g. the Ukrainian-Russian mixed speech "surzyk". 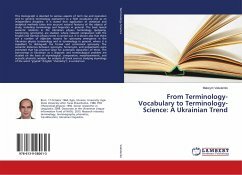 Salvatore Del Gaudio is Professor at the Chair of Comparative-Typological Linguistics and Romance Languages at the University of Kyiv, Borys Hryncenko, Ukraine. He also cooperates with the department of Slavic Languages, Institute of Linguistics, Ukrainian Academy of Sciences. He studied foreign languages and literatures, Linguistics/Sociolinguistics in Naples and Berlin. He holds a PhD in Slavic (Ukrainian) Studies from the University of Vienna, Austria.